I’ve well and truly been bitten by the Springtime bug, fawning over every bloom I pass on the streets, getting teary-eyed over shedding cherry-blossom trees and sniffing lilac like there’s no tomorrow. Spring in Dublin is magical but I have to say I get a teeny pinch in the ticker when I see all the flowery London snaps on Instagram. I mean, have you seen the #wisteriahysteria hashtag?! 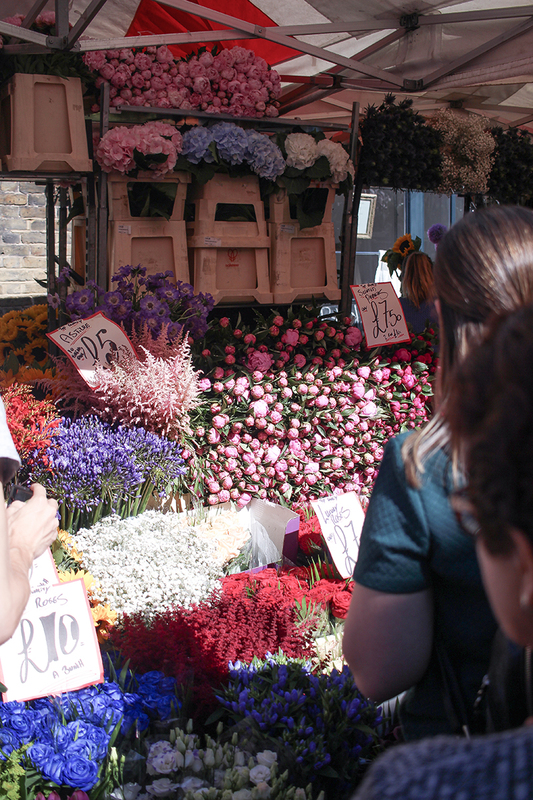 And did you know that the shops in Chelsea are decked with hundreds of flowers in honour of the Chelsea Flower Show? 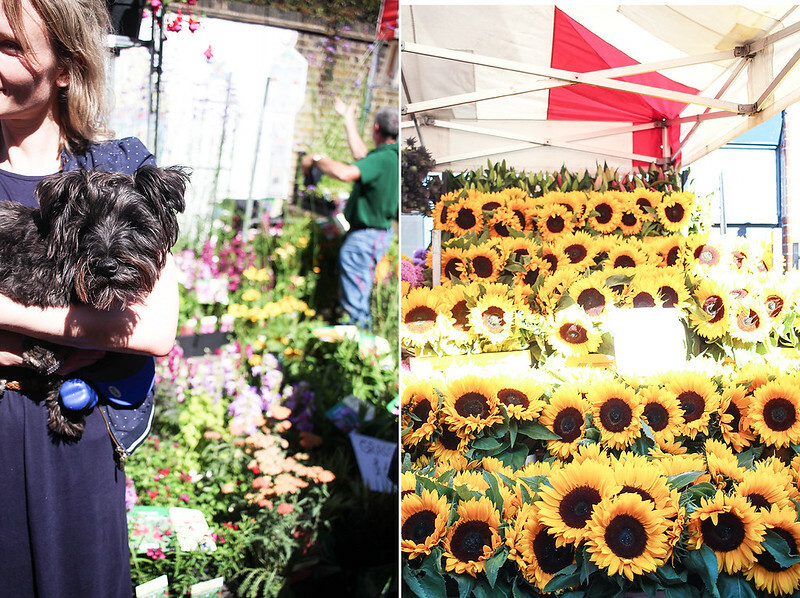 I can’t help being a tad jealous of the floral fete London is experiencing at the moment. 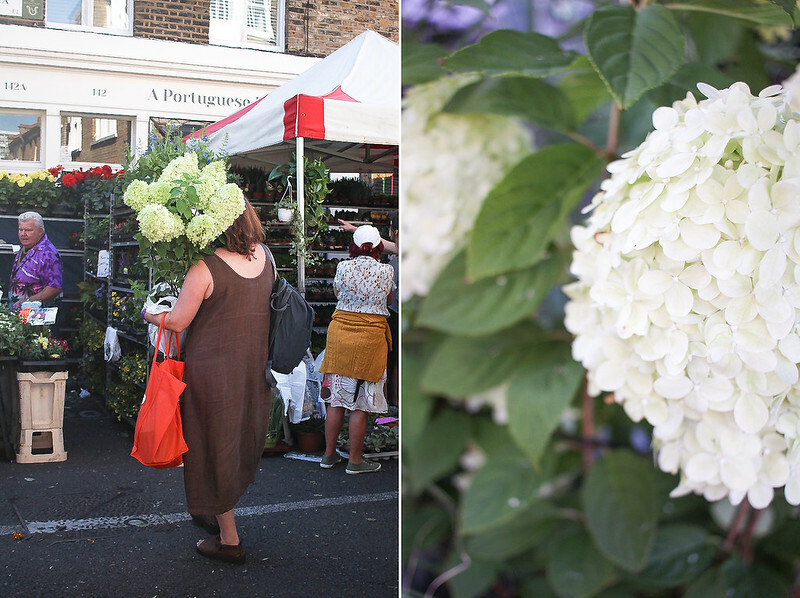 So I thought it would be the perfect time to reminisce over a lovely Sunday morning I spent at the flower market in East London last Summer. 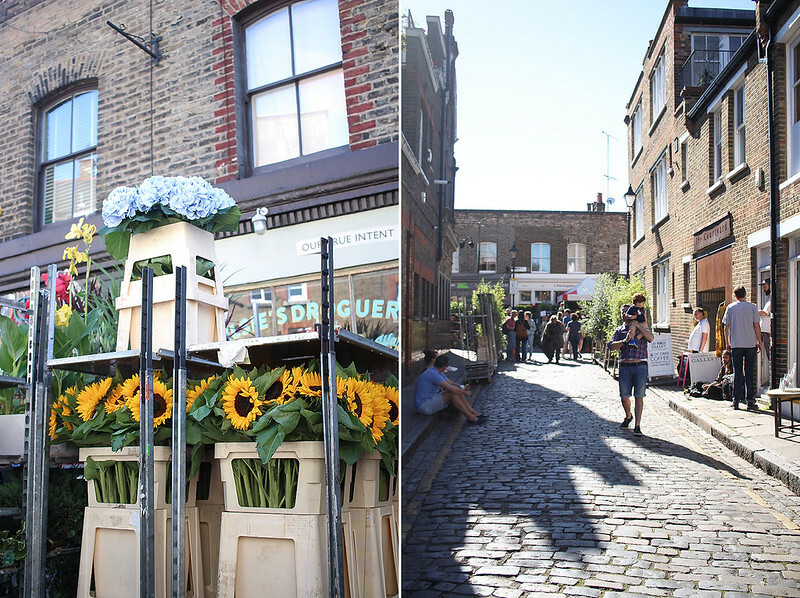 It was my first time visiting the Columbia Road Flower Market despite seeing it featured countless times in blogs over the years. Truth is, waking up early on a Sunday morning was rarely on my list of priorities in my twenties. Especially when visiting my favourite city. 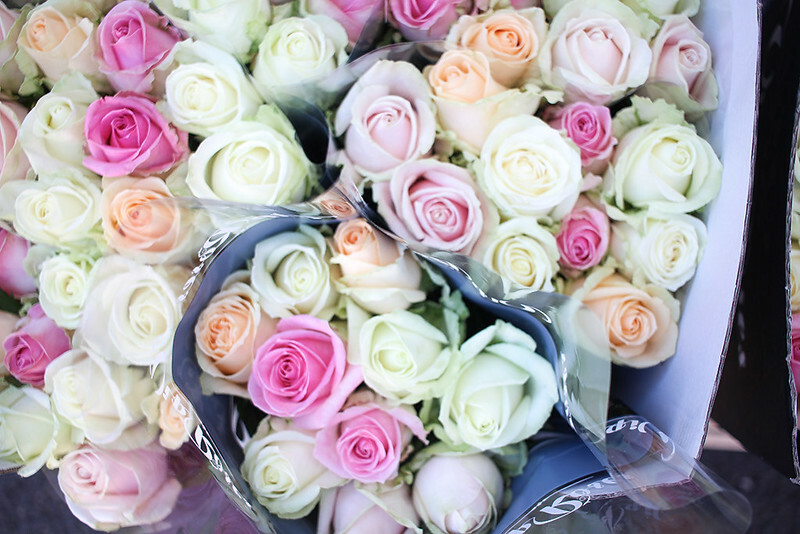 But with the thirties come wisdom… or at least a great urge to see flowers arranged neatly in buckets. 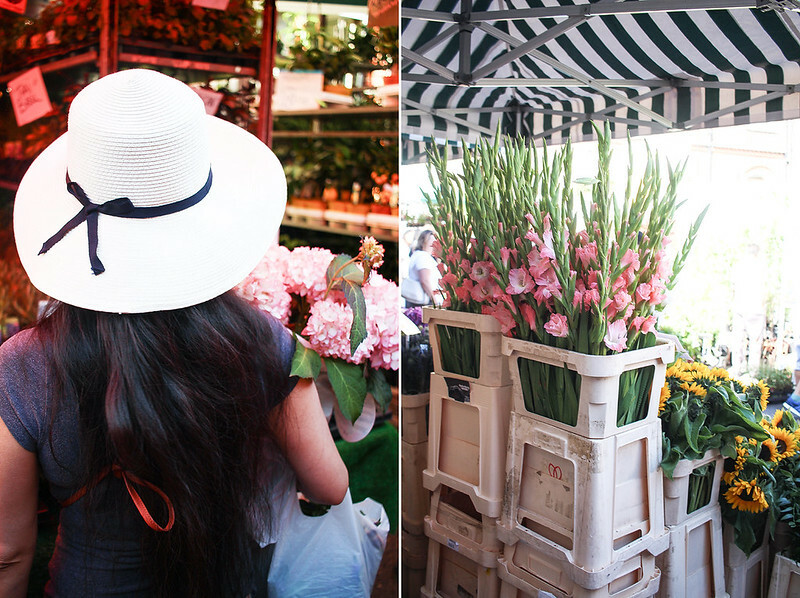 The flower market is a great little slice of London life. You’re surrounded by the colourful accents of the sellers hollering at the passersby, elegant women who look like they could single-handedly organise a party of 150. Others who quickly scan the stalls like resolute captains of their gardens and then there are the girls who look for a little bouquet to brighten up their small rentals. When the clock strikes 11, the street gets so crowded you can hardly move. 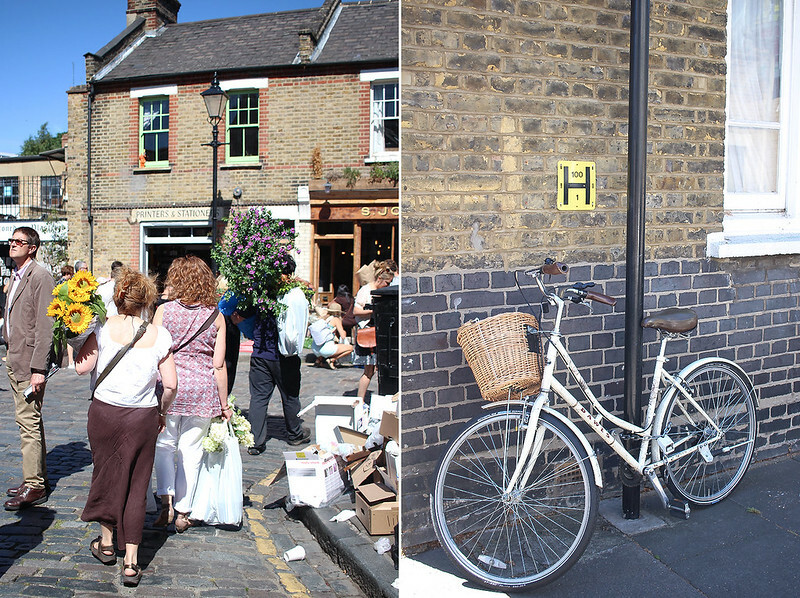 I managed to go up and down Columbia Road a few times to take these pictures. It was one of the most intense photographic exercise for me. There’s people literally everywhere, the sun was shining bright on one side of the road while the other was plunged in the dark, shaded by the street houses. I generally like to take my time when I take pictures but I had to act quickly, constantly changing settings and trying to be discreet in order not to disturb anyone. I enjoyed snapping the pretty posies – roses, peonies, sunflowers and hortensias were in season – but also the patrons carrying their loot and their cute dogs! 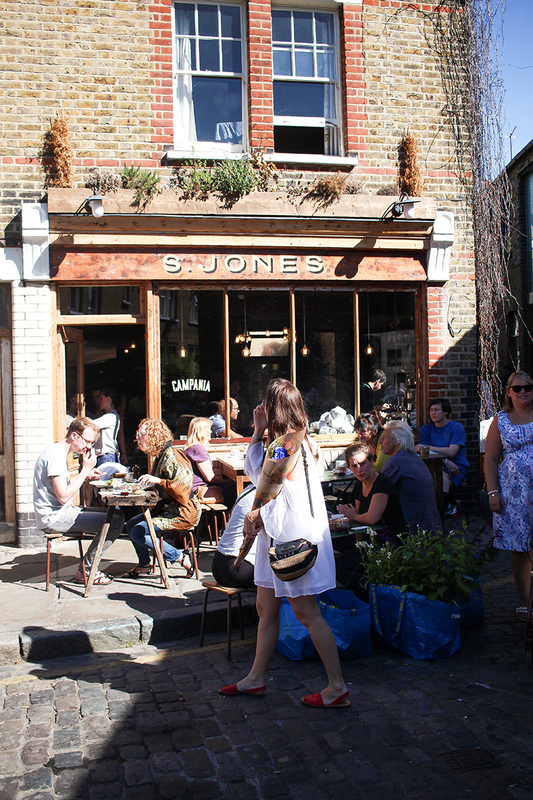 The market is not the only appeal of Columbia Road and its area. 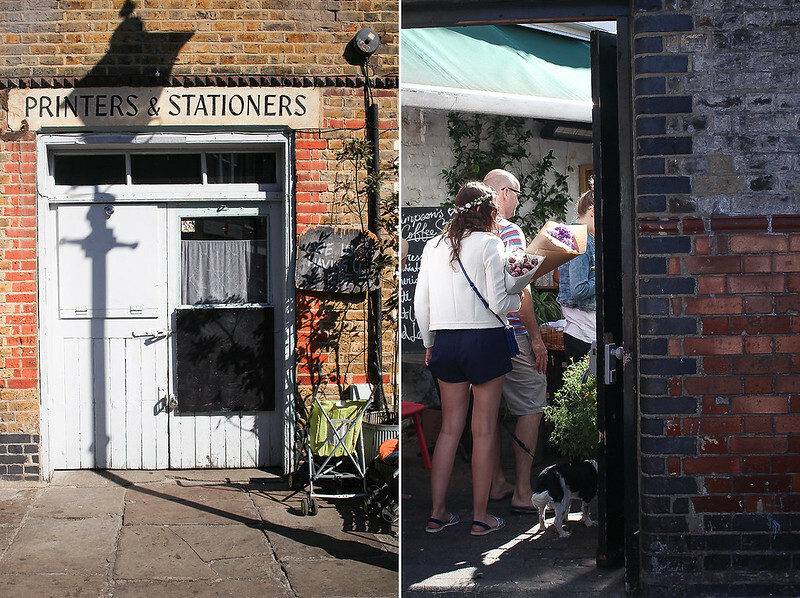 There’s a cute flea market in a nearby courtyard and so many beautifully curated shops on the street itself. Three especially got my attention: A Portuguese Love Affair which will remind you of a minimalist A Vida Portuguesa if you’ve ever been to Lisbon, Mason & Painter offers a great mix of vintage and new homeware, I absolutely adored their aesthetics and finally Choosing Keeping, a very chic stationary shop that made me want to have an army of pen pals. There’s also a great selection of eateries, bakeries and places to get refreshments. If you’re in need of coffee, which let’s face it is more than likely seeing the market’s time window, I heartily recommend the little coffee stall located in The Royal Oak‘s backyard. I’m not a coffee connoisseur by any means but their flat white was so smooth I completely skipped the mountains of sugar I usually dose my caffeinated beverages with. The pub itself is actually a great spot too, I loved its old London charm and creaky floors. 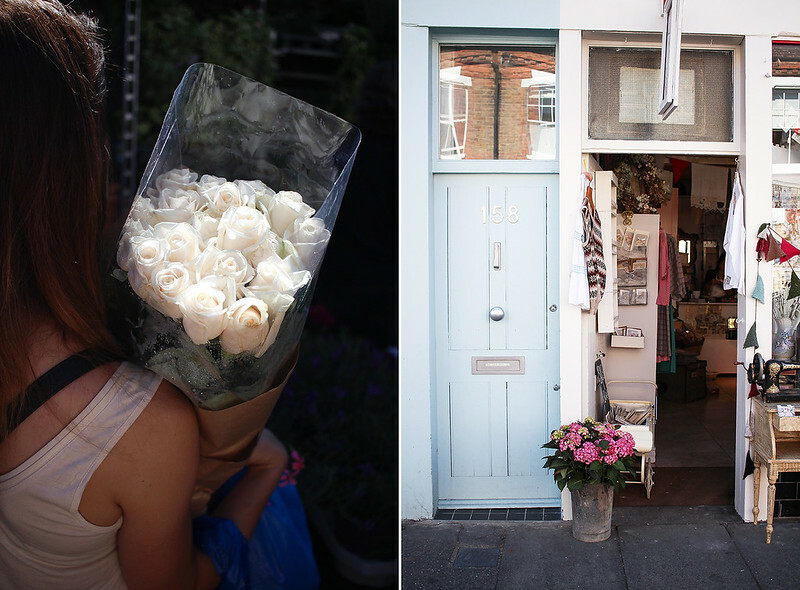 All in all, Columbia Road is one of the most charming areas I’ve visited in London and I would love to go back, maybe this time on a weekday so I can give more attention to all the beautiful shops and the street architecture.